Rustic and rough-hewn, the Hamilton brings a unique look to any room. 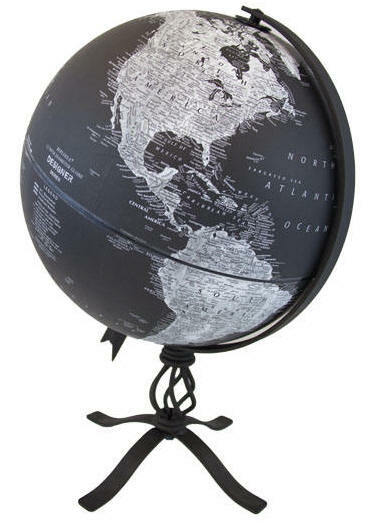 The 12" raised relief globe ball features black, white and gray tones which matches perfectly with the sturdy, metallic base. With over 3000 place names boundary markings this globe is both beautiful and politically informative.